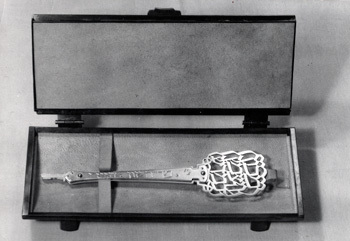 Key for the opening of the Weizmann Institute of Science. 1949. Book and box for Lore Lilien. 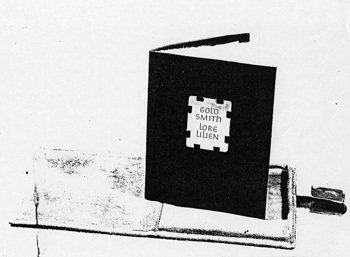 Goldsmith Lore Lilien was the wife of printer and printing historian Otto Lilien. The pair were close friends of Ismar, who designed this book with a case with metal clasp for her. Unfortunately this a poor photocopy of a photograph. 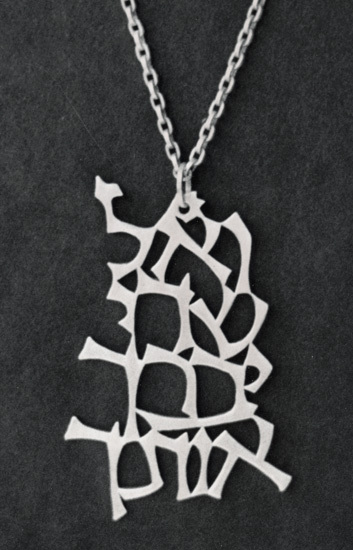 Artwork for a pendant: Peace to Israel. 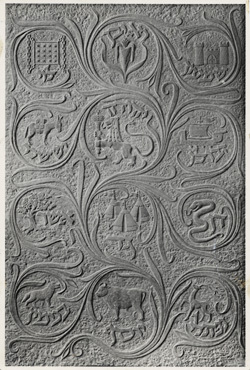 12 tribes rendered in stone. 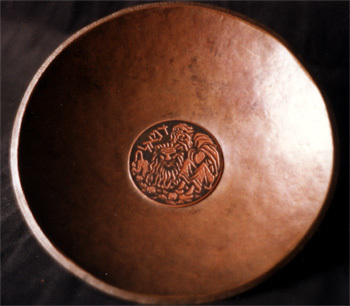 Decorative bowl with Daniel and the lion. Probably made in Jerusalem in the early 1950s or before. Copper. 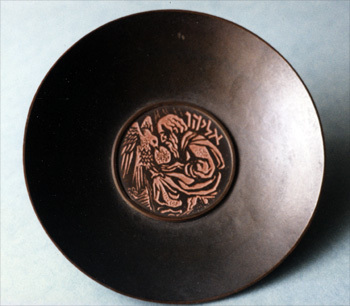 Decorative bowl with the prophet Elijah. Probably made in Jerusalem in the early 1950s or before. Copper. 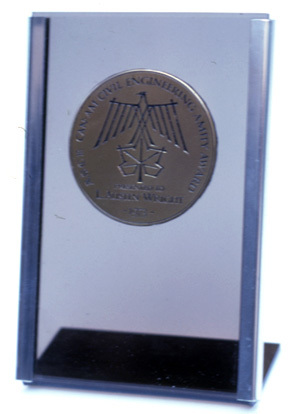 Can-Am Civil Engineering Amity Award, given to L. Austin Wright in 1973. One of many jobs that Ismar did for Geyer Studio. 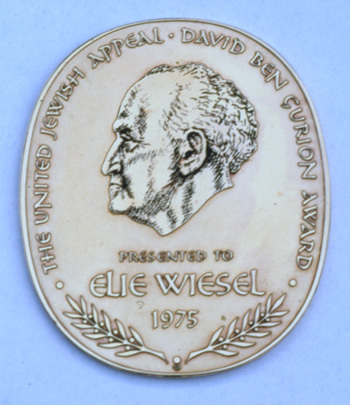 UJA David Ben Gurion Award, given to Elie Wiesel in 1975. One of many jobs that Ismar did for Geyer Studio. 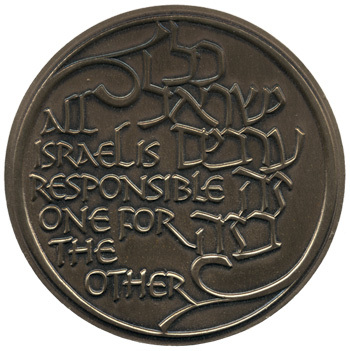 Medal for the United Jewish Appeal. 1973. If you will it, it is no dream. 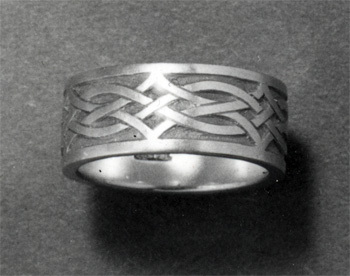 Wedding ring designed for Hortense Mendel. 1953. 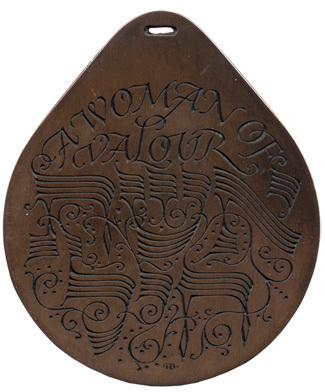 An etched copper pendant. From Proverbs 31, A Woman of Valour. Enameled medal with curved surface. 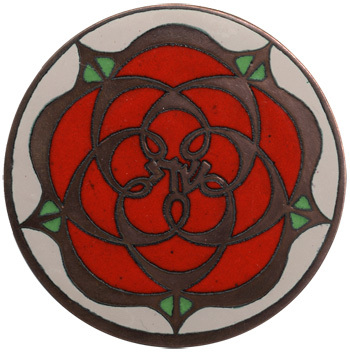 This has a pin on the back and could have been used as a broach, although the design may have been created for another application. 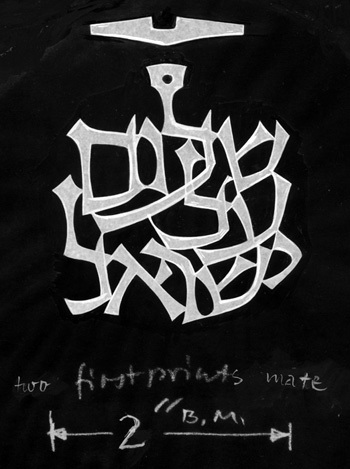 Shaddai, one of the Hebrew names for God, is in the center. 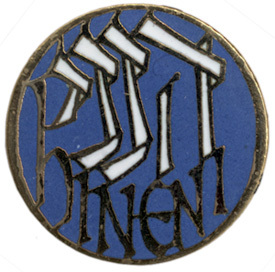 Lapel pin (probably for the United Jewish Appeal). 1980. Hineni. Here I am. 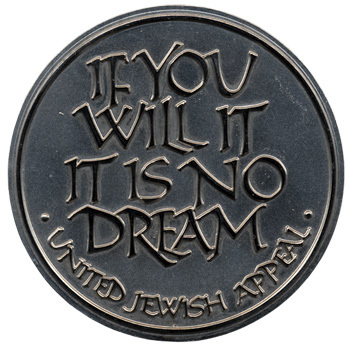 Lapel pin for the United Jewish Appeal. 1972. 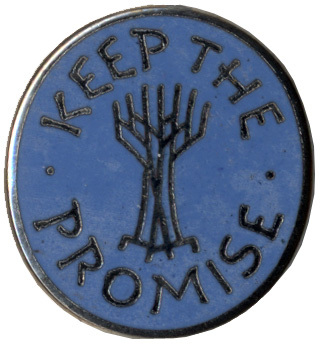 Keep the Promise. Medal for the United Jewish Appeal 40 year anniversary. All Israel is responsible one for the other. Medal for the United Jewish Appeal. 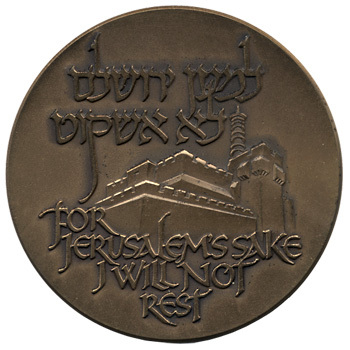 This year in Jerusalem-For Jerusalem’s sake I will not rest. 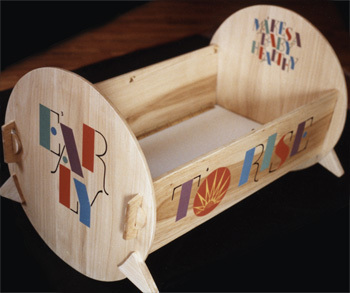 Cradle designed for Andrea Pinner Moore on the occasion of her daughter Natalie Eleanor’s birth. Made of poplar with stenciled text, 1988. 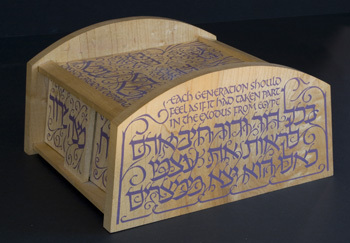 Wood seder plate, with stenciled lettering. 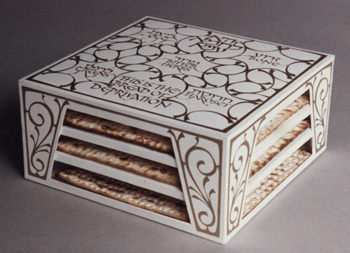 Model for a box for commercial matzahs, that could also serve as a Seder plate. Probably from the early ’90s.